This paper synthesises findings from a design method course that focused on a design brief in shared medical decision making. 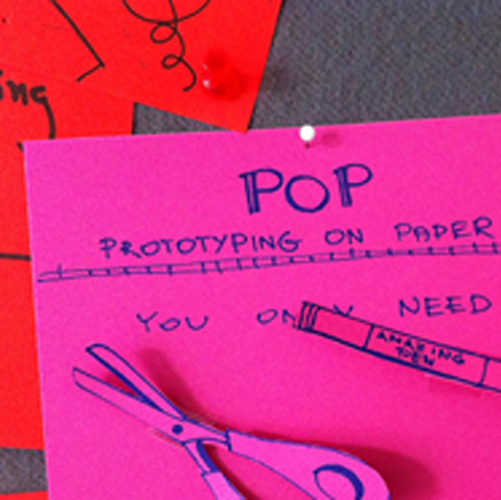 In the paper, design methods is a term describing any action undertaken for a forward movement in the design process. The course is based on a selection of assignments that target intuition, reflection and reflexivity. Although many science disciplines strive to include more elements of active and practice-based learning, design education faces the challenge of integrating theory in a ‘designerly’ way. The current curriculum offers little opportunity to train these skills together with traditional practice-based ones. However, the complexity of design tasks in interconnected systems with manifold stakeholders and users requires a cohesive design research approach to govern its inherent complexity. Using the findings of this case study, design students can integrate theory in their practical work and welcome the confrontation found in current design research literature, helping them contextualise the meaning of design, be inspired and develop an individual stance on the purpose of design.